Tuesday 2nd December 12.30-2.30pm at LCI. 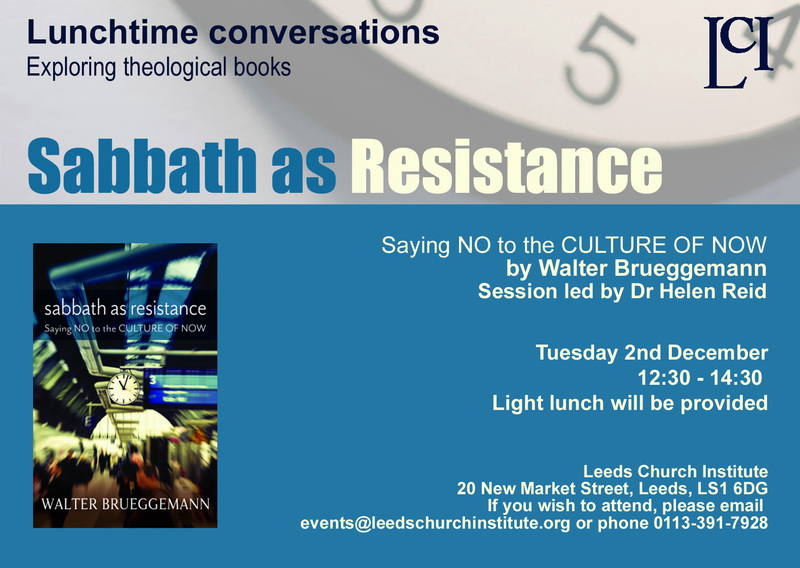 Sabbath as Resistance – Saying NO to the CULTURE of NOW by Walter Brueggemann. Session led by Dr Helen Reid. A light lunch will be provided, if you would like to book a place please ring 0113 391 7928 or email events@leedschurchinstitute.org.